Know someone who is having a baby? Enthusiastic about turning that baby into a badass? 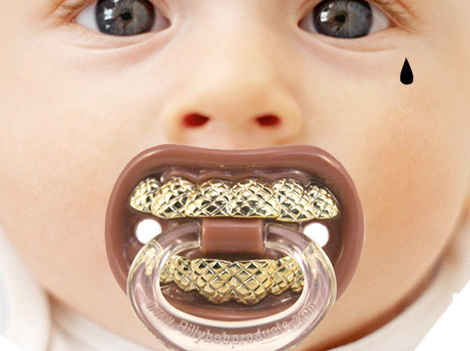 The answer is simple – infant needs some grillz! Kid tested and dentist approved, this pacifier is a unique, hilarious and CHEAP gift. Mom and dad will definitely brag about this gift to all of their friends, while their baby becomes fresh prince of the playground. Not a rubberband, yet not a scrunchie. 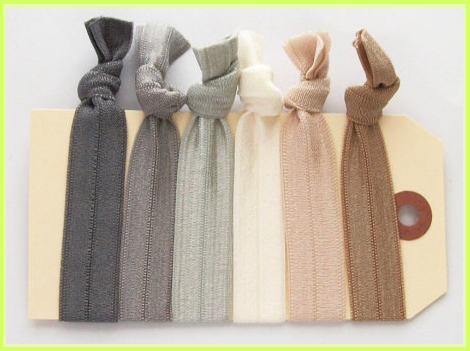 These stylish and functional hair ties will add a tinge of flair to your ponytail. They will look cute around your wrist, despite their slight resemblence to a medical tourniquet. I’m into them! I LOVE this sunscreen. First off, how cute is that bottle. The design is so sleek…the bottle looks like WOOD! It will look great in your “outdoors drawer,” no doubt. Secondly, this stuff smells amazing. Squeeze out the lotion and the scent will transport you to canteen hour at summer camp, or a SoCal beach beach cabana. But does it work? HELL YA! Recommended by the Skin Cancer Foundation, Sun Bum will protect you from those harmful UV rays. This product is all around wonderful, and its website is pretty rad, too. On sale, but still kinda pricey. I’m just a sucker for pouches, and these are so cute! 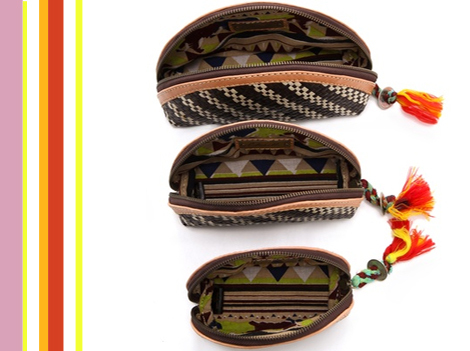 I love the black and white woven exterior, colorful tassels and geometric lining. The different sizes are awesome. Pouches could be used for storing toiletries, pens, tampons, colored pencils, makeup, stickers, nail polish, spoons, snacks, anything! i’m getting myself some sun bum today! Those grillz are amazing! Now I just need to get me a baby to go with them.
! The crazy fun is endless!